This is a large, common though rarely seen, solitary, omnivorous mammal. It is usually 5″ to 6″ in length, 2″ to 3″ in height at the shoulders, and weighs 200 to 475 or more pounds. The male is much larger than the female. 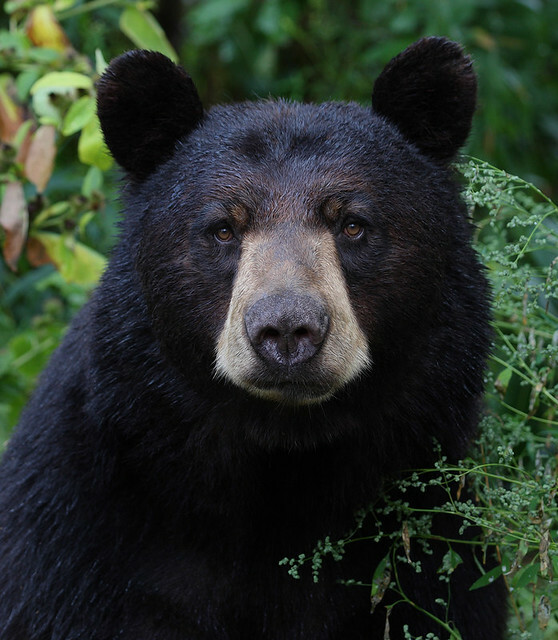 In Minnesota the black bear is usually black with a pale brown muzzle and usually a small white chest spot. 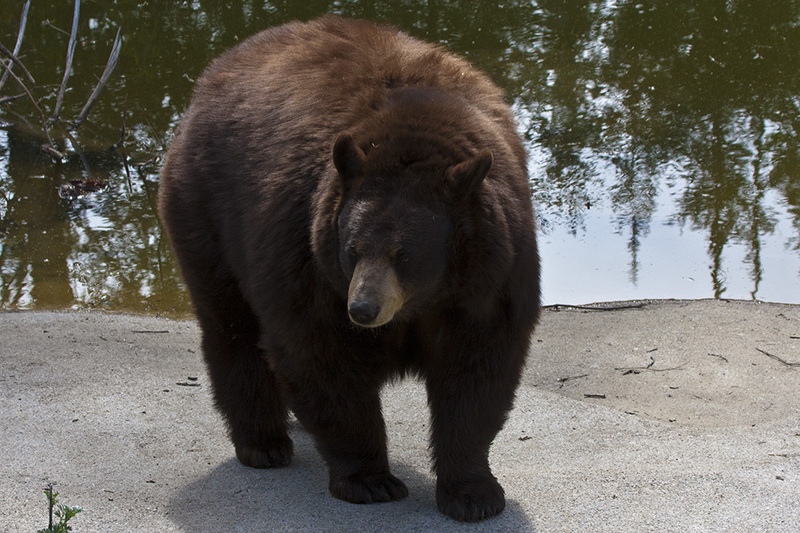 About six percent of the bears in Minnesota are “non-black” color morphs (Rounds, 1987). 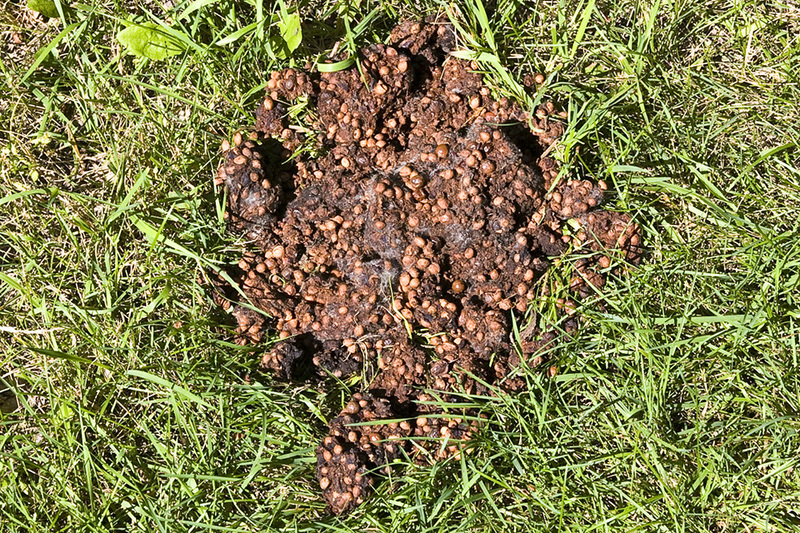 These can be brown, cinnamon, or yellowish brown, and can occur within populations and even within litters. 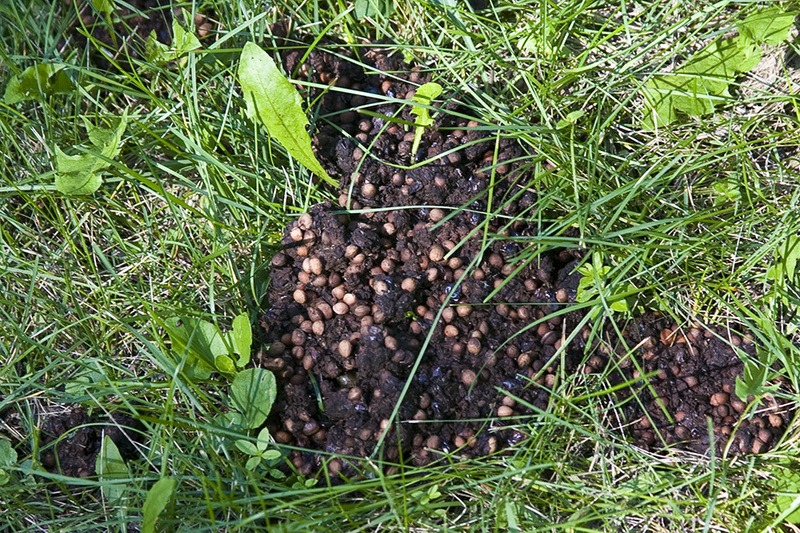 Inner tree bark, grasses, and forbs in the spring; nuts, roots, berries, grasses, buds, colonial insects, beetles, small mammals, carrion, fish, and garbage in summer and fall; nothing in the winter. Male territories overlap those of several females. Breeding takes place in June and July. Females give birth usually every 2 years, sometimes waiting 3 or 4 years. The gestation period is about 220 days. A litter of 1 to 5, usually 2 or 3, cubs ar born in January or February when the female is in hibernation. The cubs remain with their mother about 17 months, sharing her den in their second winter. Lifespan in the wild can be up to 30 years, but average lifespan is 10 years due to interaction with humans, including hunting. Distribution Sources: 7, 13, 15, 29. 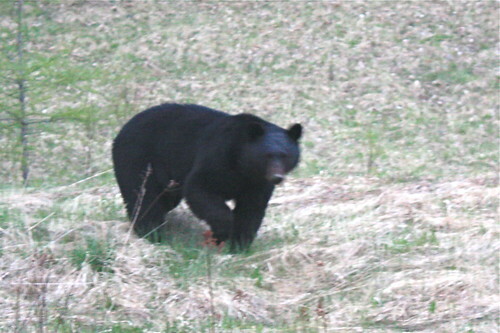 There are about 20,000 American black bears in the state. We found this black bear along Hardy Creek in British Columbia doing what bears do, searching for anything to eat. Berries at first and then on to the main course kokanee (sockeye) salmon fresh from the stream. .
Up to 85% of the black bear's diet consists of vegetation. 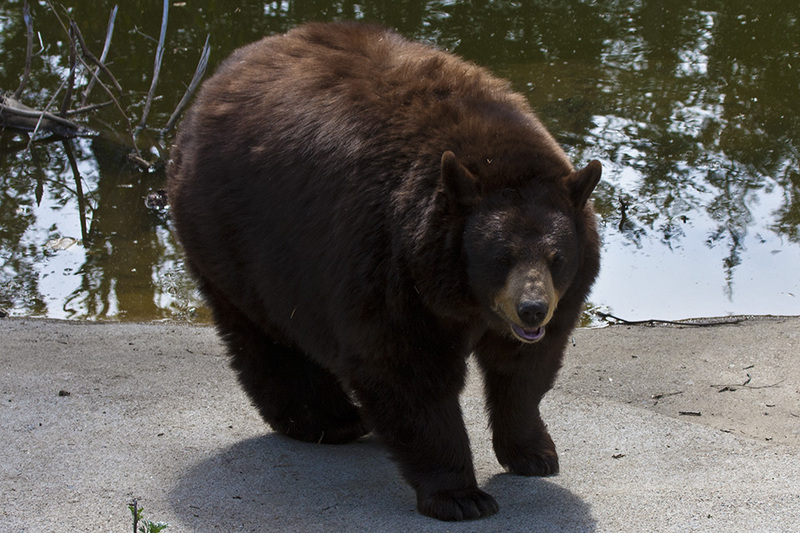 The majority of the black bear's animal diet consists of insects such as bees, yellow-jackets, ants and their larvae. Black bears will fish for salmon during the night, as their black fur is easily spotted by salmon in the daytime. We were truly lucky to witness this bear so close to us foraging for food. 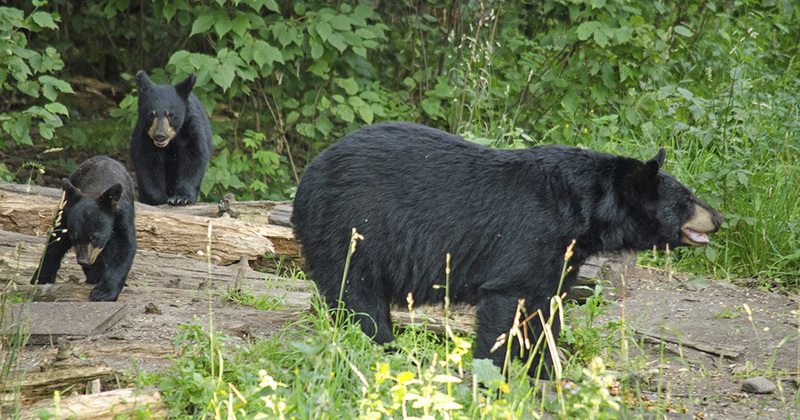 The total Canadian black bear population is between 396,000 and 476,000. 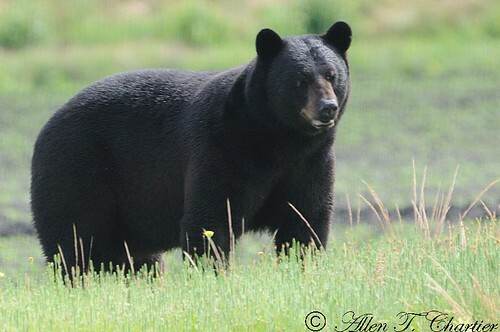 Black bears rarely attack when confronted by humans, and usually limit themselves to making mock charges, emitting blowing noises and swatting the ground with their forepaws. 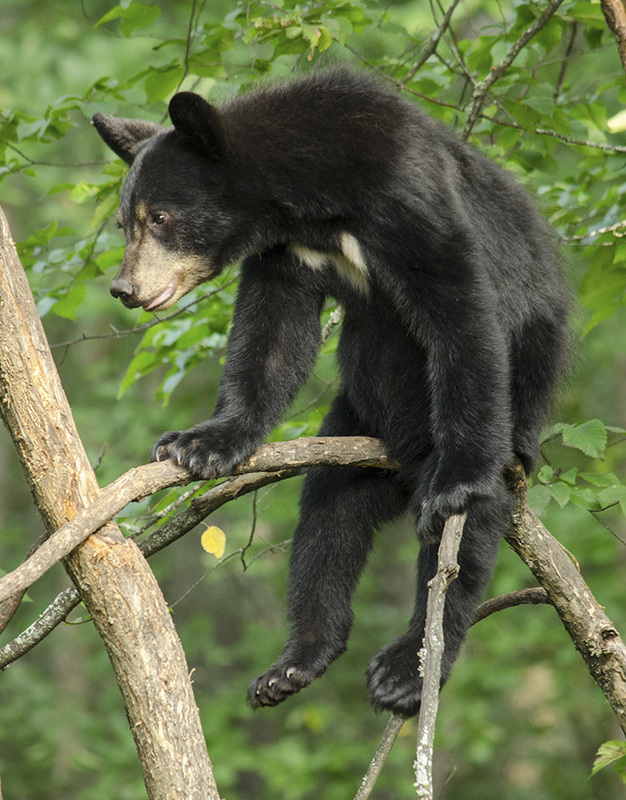 However, 23 people were killed by black bears between 1900 to 1980. "Best place in North America to view wild bears" Vince Shute Wildlife Sanctuary has preserved a unique opportunity to view and to photograph the intimate world of the normally reclusive black bear. Around 80+ black bears visit the sanctuary each season, including large boars, sows with cubs, yearlings and sub-adults. 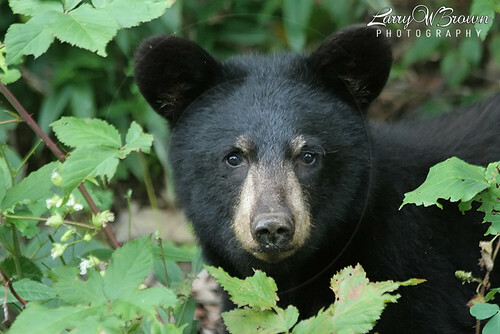 The American Bear Association offer a variety of scheduled workshops (as well as private) to photograph this normally shy and reclusive animal. Nestled in the North Woods of Minnesota, the Sanctuary consists of 360 acres of forested land located approximately two hours northwest of Duluth. Check us out online at http://www.americanbear.org or visit the black bears in their natural behavior!